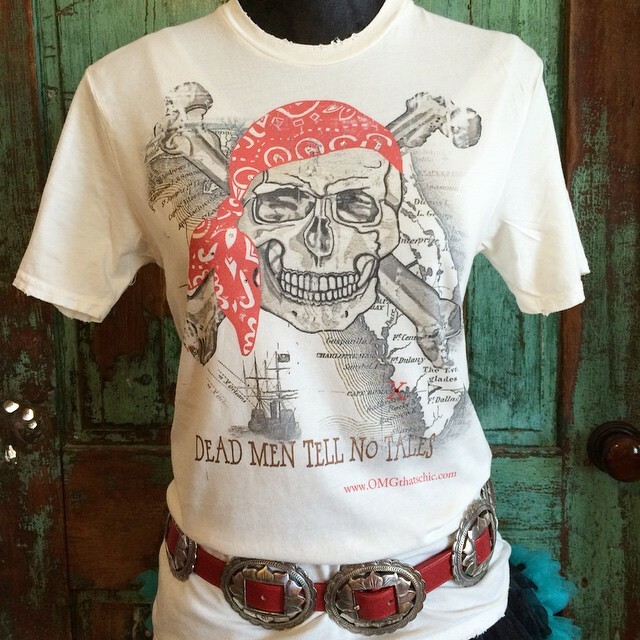 Dead Men Tell No Tales on a distressed tee. The graphic lays over an old map of Florida and there is an X that marks the spot of Marco Island. These tees do fit true to size and maybe a little bigger.